In Greek mythology, the name Tartarus is one normally associated with a region of the Greek Underworld, sitting alongside the Elysian Fields and the Asphodel Meadows. This region of the Underworld is one associated with eternal punishment, but in Greek mythology, Tartarus was also the name of a primordial god. The primordial god Tartarus was one of the Protogenoi, first born gods, of the Greek pantheon; and most ancient sources would tell of the emergence of Tartarus from Chaos, at a time when Gaia (Earth), Erebus (Darkness) and Eros (Procreation) came into existence. As Greek god, Tartarus is often named as the father of the monstrous Typhon with Gaia; Tartarus is also occasionally named as father of Typhon's partner Echidna. Echidna and Typhon were famed for going to war with Zeus and the gods of Mount Olympus. 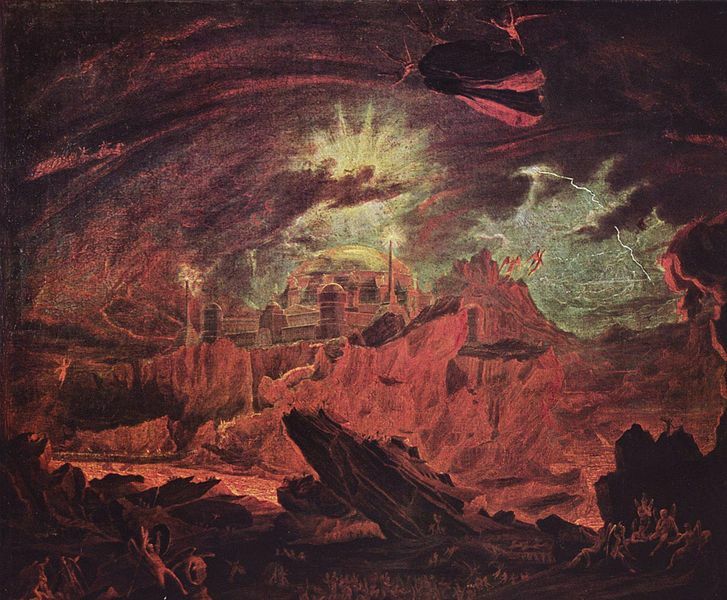 In ancient sources though, the concept of Tartarus as a god was marginalised, and the name was one more closely connected with the hell-pit of the Greek Underworld. Tartarus, the Hell-pit, was said to be found as far beneath the surface of the earth, as the sky was above the surface. The Greek poet Hesiod would even state that it would take a bronze anvil nine days to fall from the earth until it reached Tartarus. This Hell-pit would be made use of as a prison by a series of supreme deities starting with Ouranos (Sky). Fearful for his position, Ouranos would decide to imprison those he perceived within Tartarus. This meant that his own offspring first Cyclopes; Brontes, Steropes and Arges, and then the Hecatonchires; Briares, Cottus and Gyges, were all imprisoned. Ouranos allowed a third set of children, to roam free, which proved to be a mistake, for it was they who eventually did overthrow Ouranos. The Titan Cronus would take up the position of supreme deity, and he too was fearful of the Hecatonchires and the Cyclopes, so they remained imprisoned; Cronus even added a new prison guard, the dragon Kampfe. Cronus himself was overthrown by his own son Zeus, who released the Cyclopes and Hecatonchires to aid him in the Titanomachy. Zeus and his siblings would win the war, and Zeus would then imprison the Titans he had overthrown within Tartarus. Hades would become ruler of the Underworld, and Tartarus was considered to be part of his domain. It was the region of the Underworld though that would become synonymous with eternal punishment, for there, the likes of Ixion, Tantalus and Sisyphus would all be punished.